Do you have a question about Architects and Architecture? Please email us if you can't find the information you are looking for. Here you can find answers and information about some of the most frequently asked questions we receive as Architects in Cornwall. We’re in the process of building this resource, so please do email us or call if you have any queries about the information provided or other questions about the Architect’s role in designing homes and other buildings. It takes a minimum of 7 years to train to be an Architect, with stages involving exams and practical experience at university level. Architects must not only be competent in drawing and design, but also in planning laws, construction legislation and be expert communicators, as it is often their role to lead large teams of people with very varied skill sets. No other building professional is trained in design and construction to such a high level of expertise. A qualified architect can provide you with impartial advice and support in the design and construction of your project, acting in your interests to achieve the best possible outcome for your budget and aspirations. What are the recent changes to permitted development rights? The Government’s Planning Minister, Nick Boles, has recently released information about his proposals to make substantial changes to permitted development rights for agricultural buildings and rural communities. The intention is that these changes could take effect from April 2014. As Architects in Cornwall and Devon, we have been looking into the potential impact of these changes for owners and developers of agricultural buildings in the region. agricultural to residential: rural communities could benefit from more affordable homes by making better use of barns and other agricultural buildings. agricultural to new schools and nurseries: supporting working parents in rural communities by allowing for the provision of new schools and nurseries, meaning families can continue to live in their rural community, and protect the countryside by ensuring previously developed land is used first. retail to residential: providing new homes and ensuring better use is made of commercial properties that are no longer economically viable. The Government believe the changes could lead to increased flexibility within the current planning system and a reduction in red tape in planning departments, at the same time as offering protection of green spaces and the countryside. The proposals for changing a property use from agricultural to residential cover buildings up 150 square metres, and for agricultural premises of up to 500 square metres to be changed into schools or nurseries. The potential changes to permitted development rights for agricultural buildings in Cornwall and Devon could present opportunities for rural communities in the region. Queries about Planning in Cornwall or Devon? 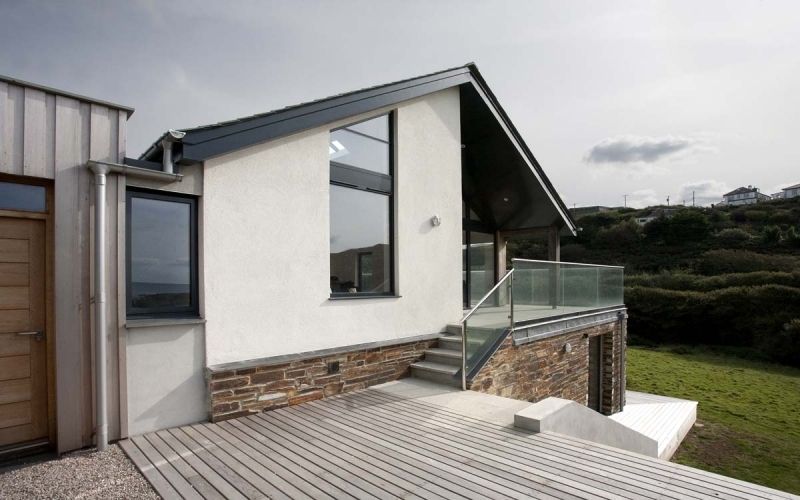 This guide is for homeowners and property developers who are considering a home design and building project in Cornwall or Devon. There are a number of statutory authorities and policies relating to the design and construction of homes and buildings in Devon and Cornwall. From the earliest design stages of a project, an Architect can work with you to assess and understand which services and policies will be relevant, make applications on your behalf and liaise with the different individuals and organisations that may have input into the approval or refusal of your project. The following links are provided solely as an information resource. For specialist advice, interpretation and the submission of applications for planning in Cornwall or Devon, we recommend that you contact a RIBA Chartered Architect who will be trained and qualified in these matters. Most Architects will offer a free initial consultation on your project or proposal. By law, anyone who describes themselves as an architect and is involved in designing or constructing buildings must be properly trained and qualified, and registered with The Architect’s Registration Board (ARB). Our Architects are all qualified and registered members of the ARB, and our Practice is registered with the Royal Institute of British Architects (RIBA). All of the Architectural Services we provide are carried out in accordance with our memberships of these professional bodies, including adhering to a Professional Code of Conduct, meeting Quality and Project Management Standards and holding sufficient levels of Professional Indemnity Insurance and Public Liability Insurance.